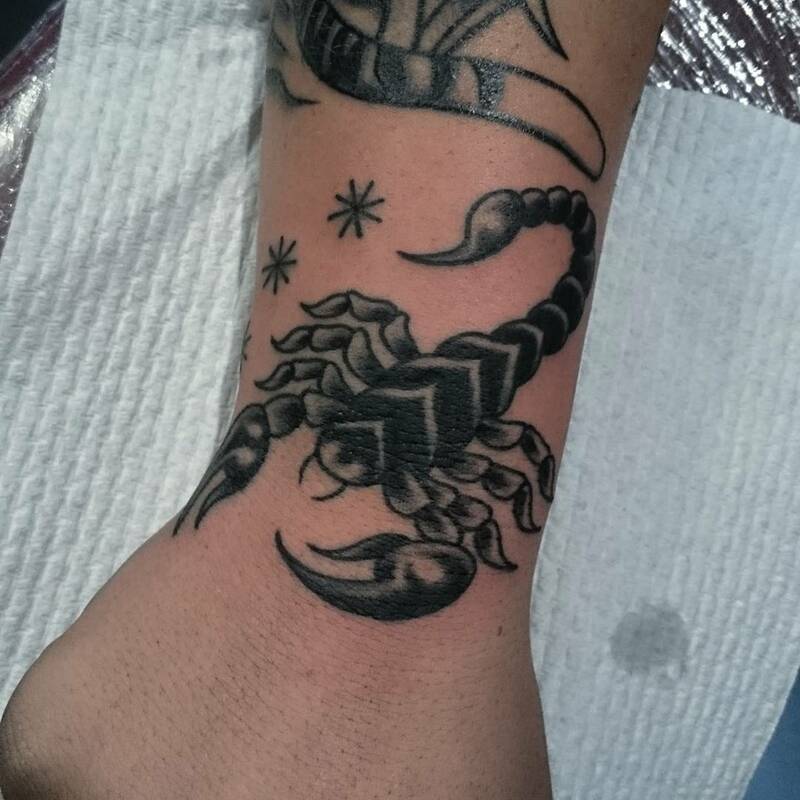 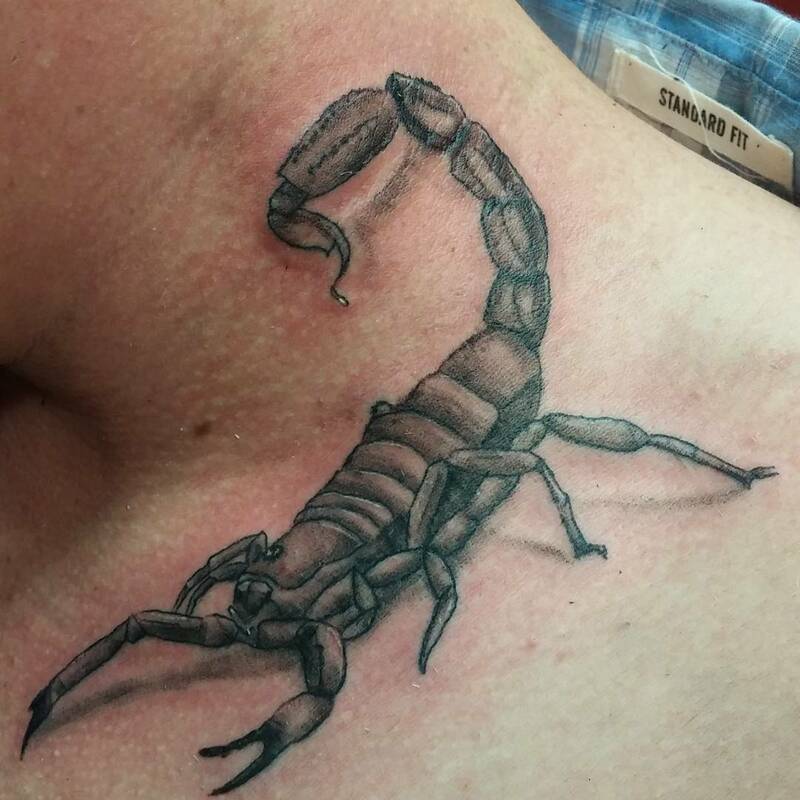 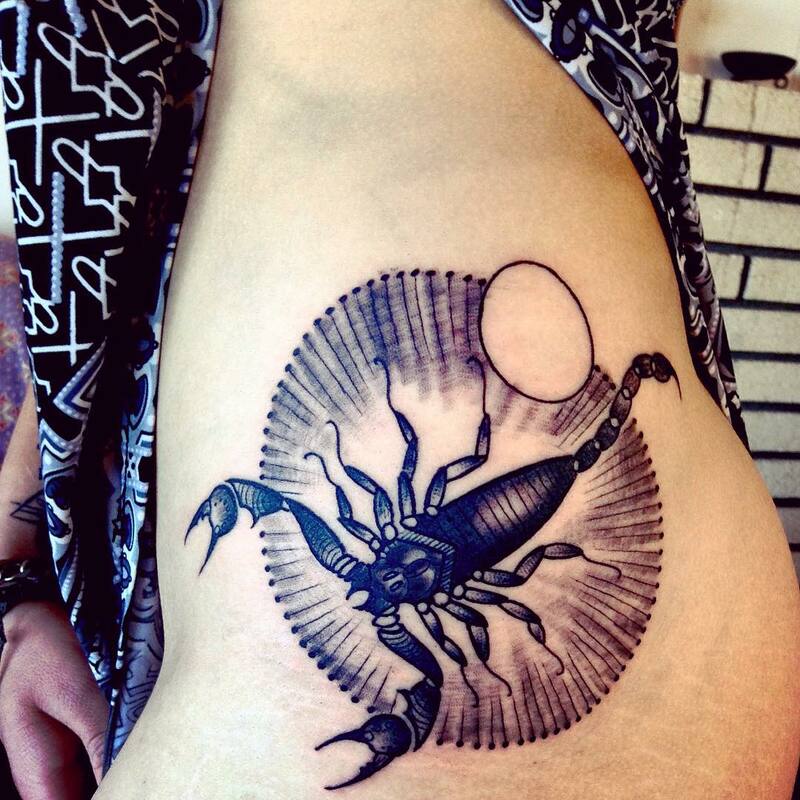 One tattoo design that carries with it loads of attitude and history, is the Scorpion tattoo. 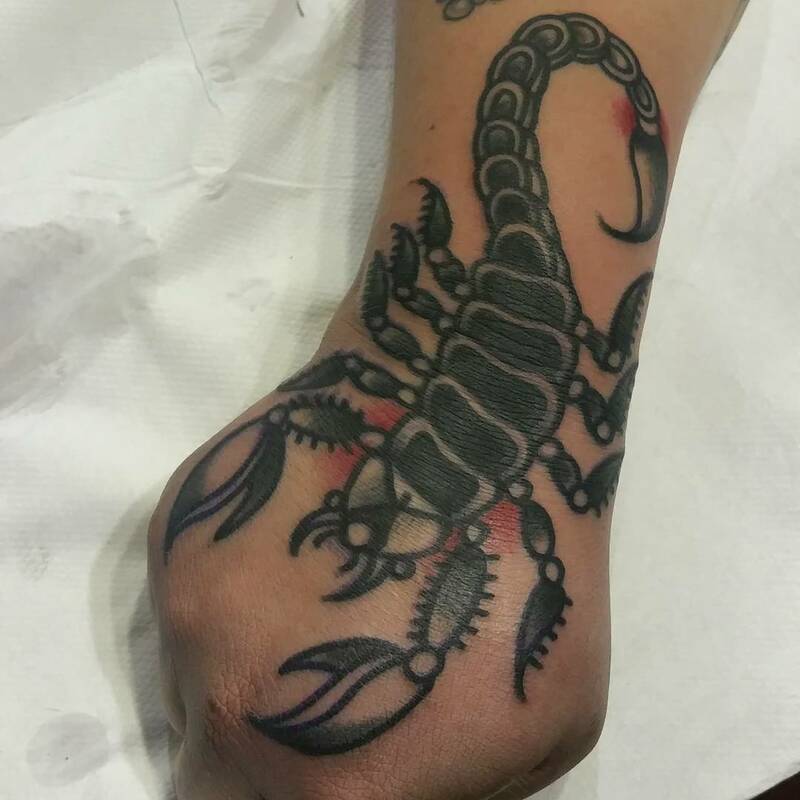 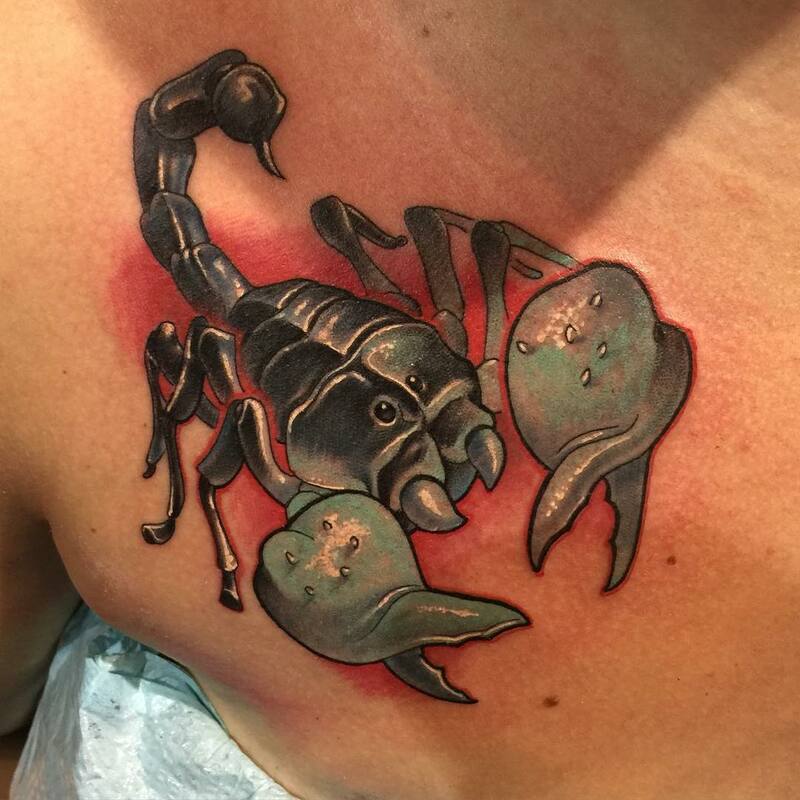 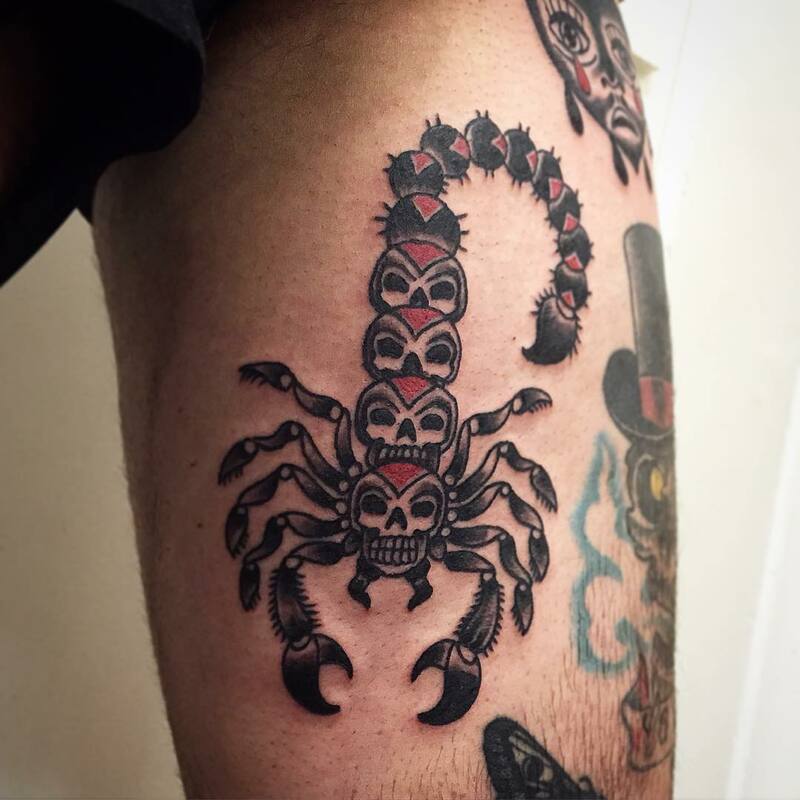 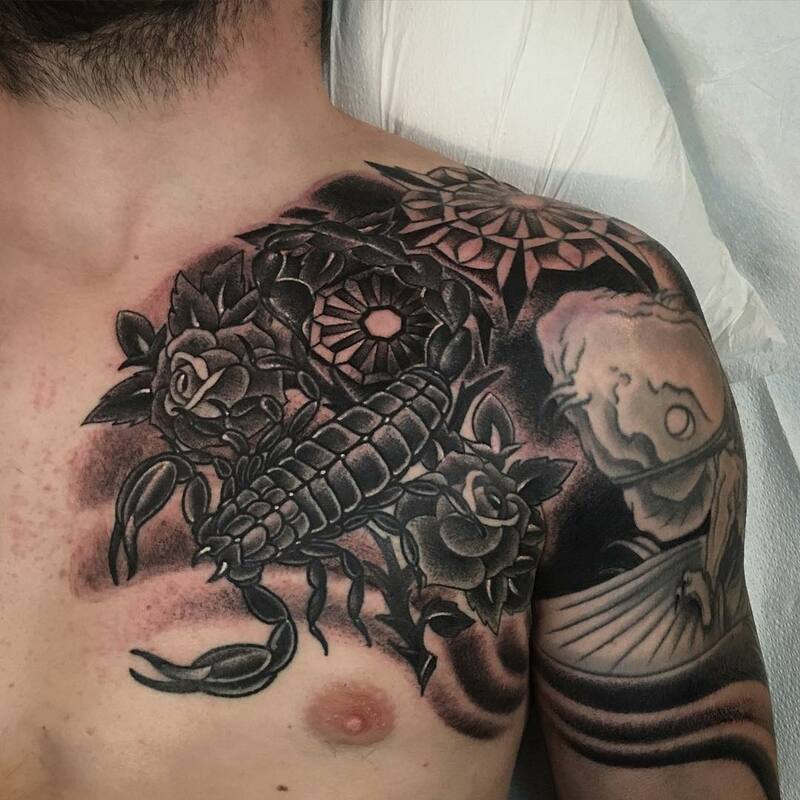 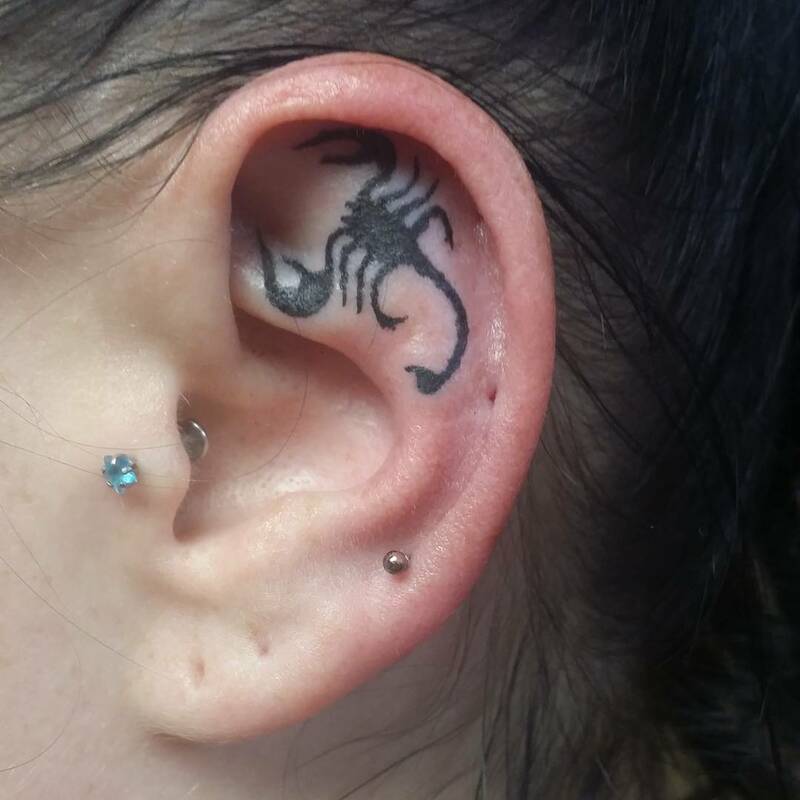 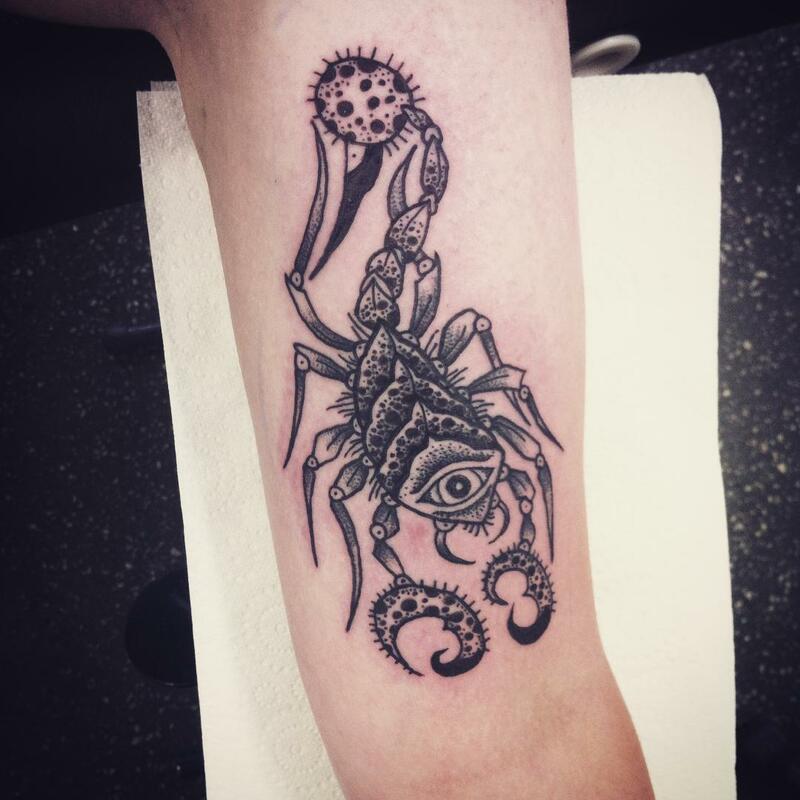 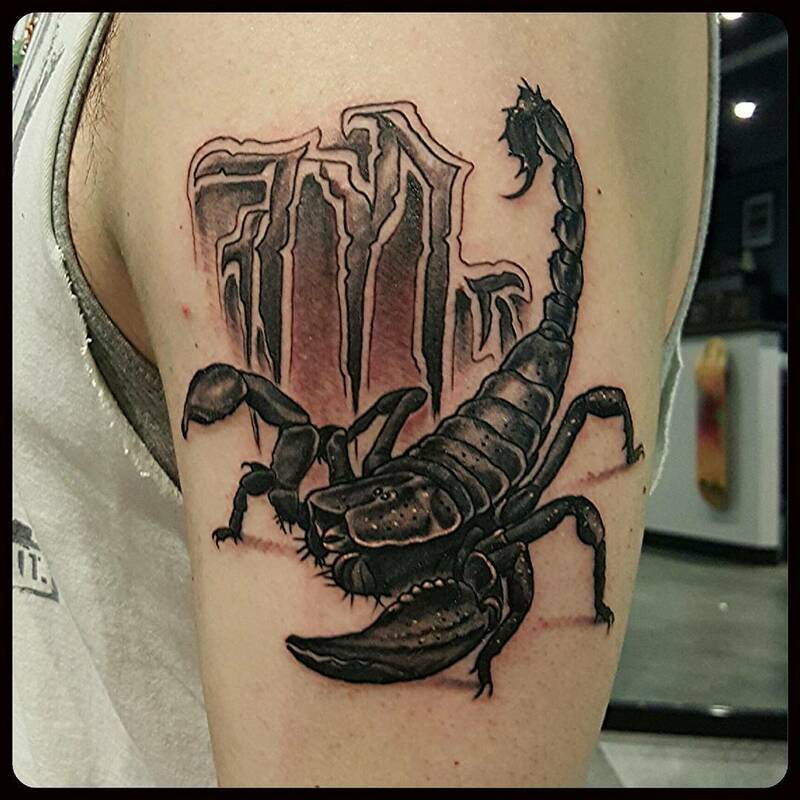 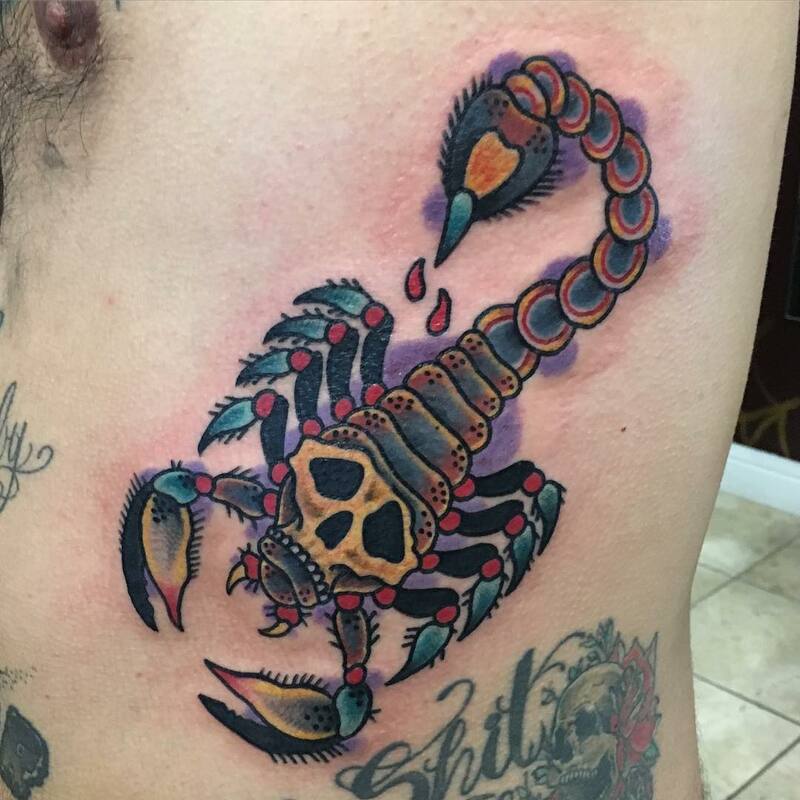 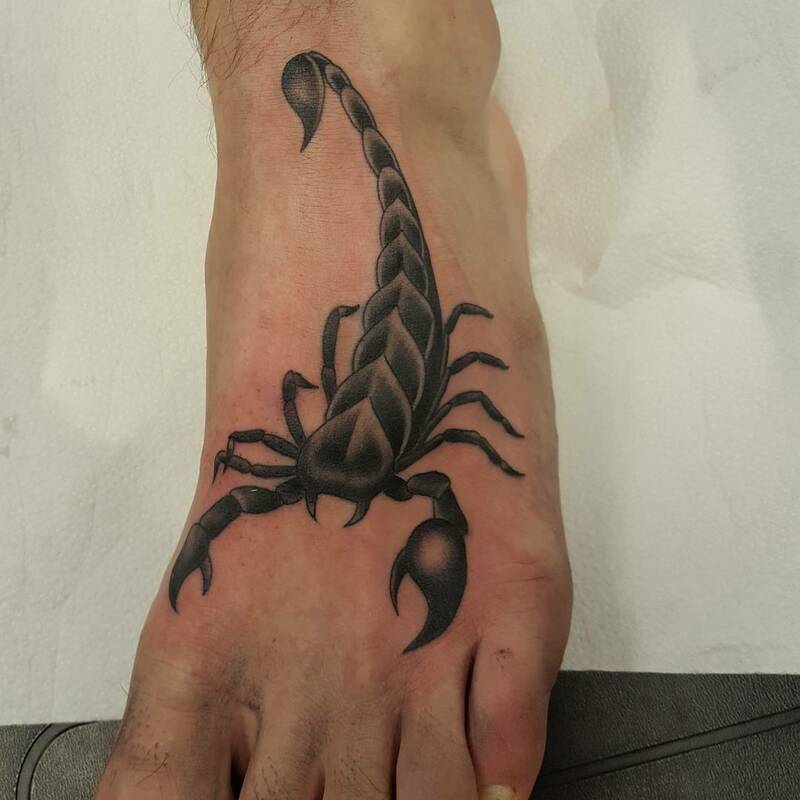 If Scorpio is your zodiac sign or if you love the dark and secretive sense that scorpions give, then you can consider the myriad of Scorpion tattoos available in the tattoo world. 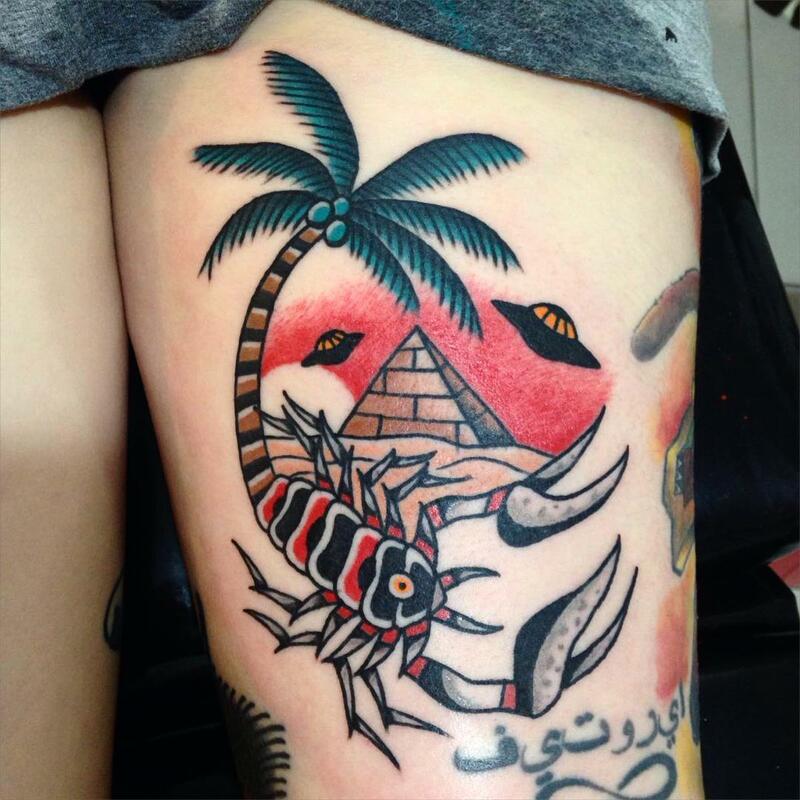 These tiny and deadly desert creatures have gracefully carved bodies that make them trendy and infuse themselves well in tattoo designs. 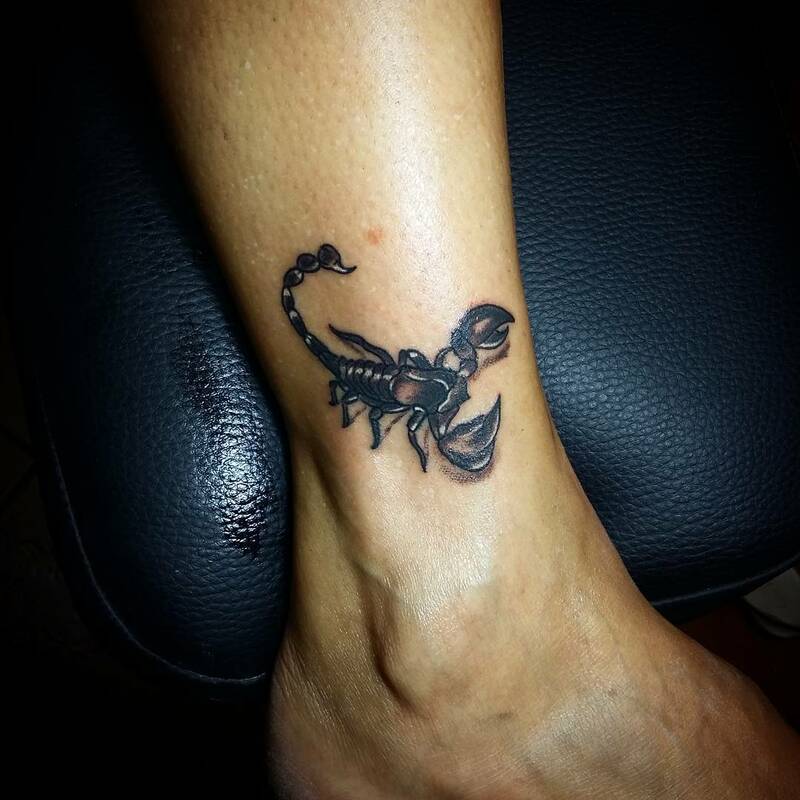 Although these tattoo designs aren’t considered to be a common tattoo in the ink world, Scorpion tattoos can look exotic and intriguing on both the races. 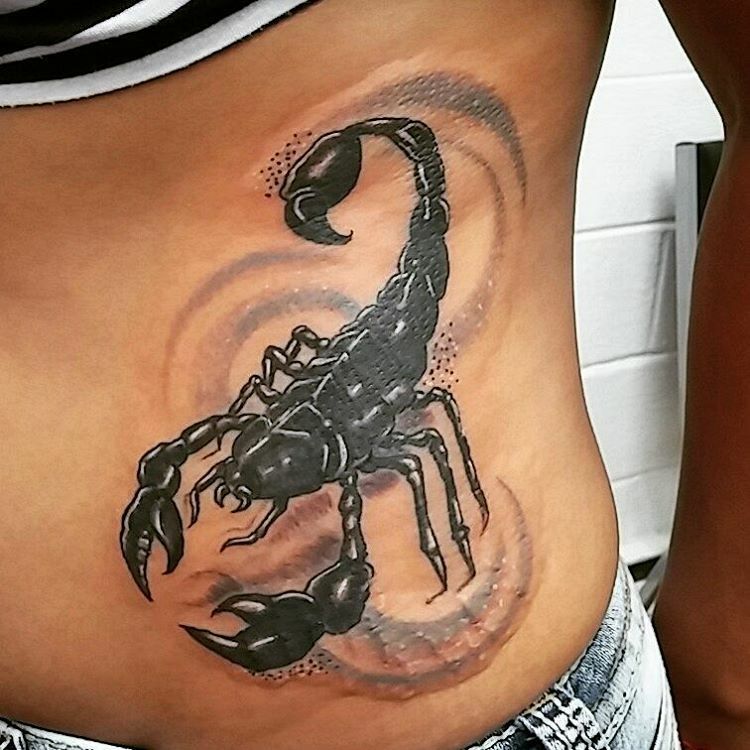 Scorpion tattoo symbolizes sensuality, loyalty, self-confidence, perseverance and highly imaginative. 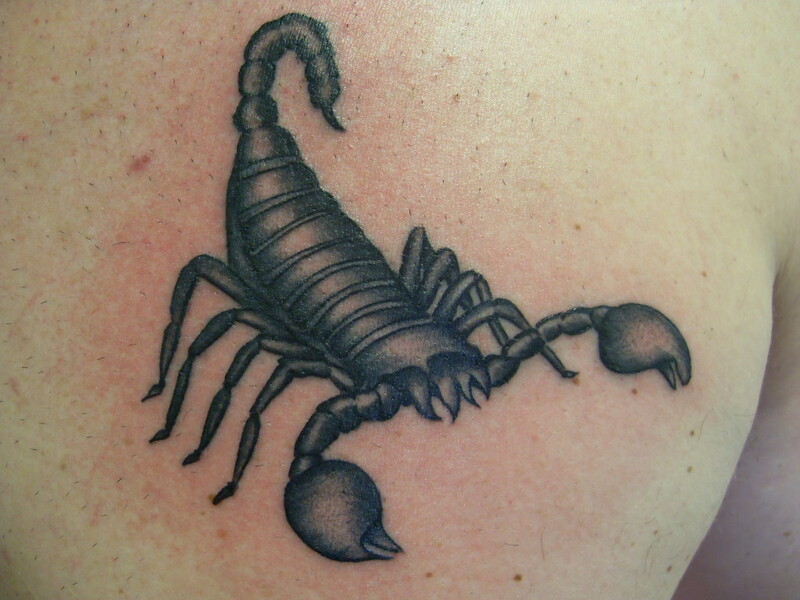 Because of its attribute, scorpion tattoos can be worn on any place on the body like on the neck, wrist, ankle and arms. 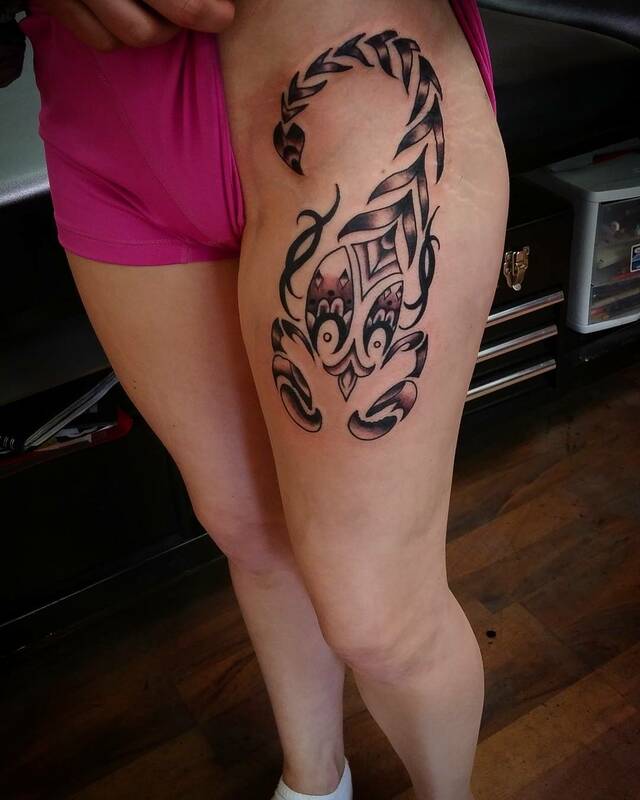 It looks alluring when done on a smaller surface area. 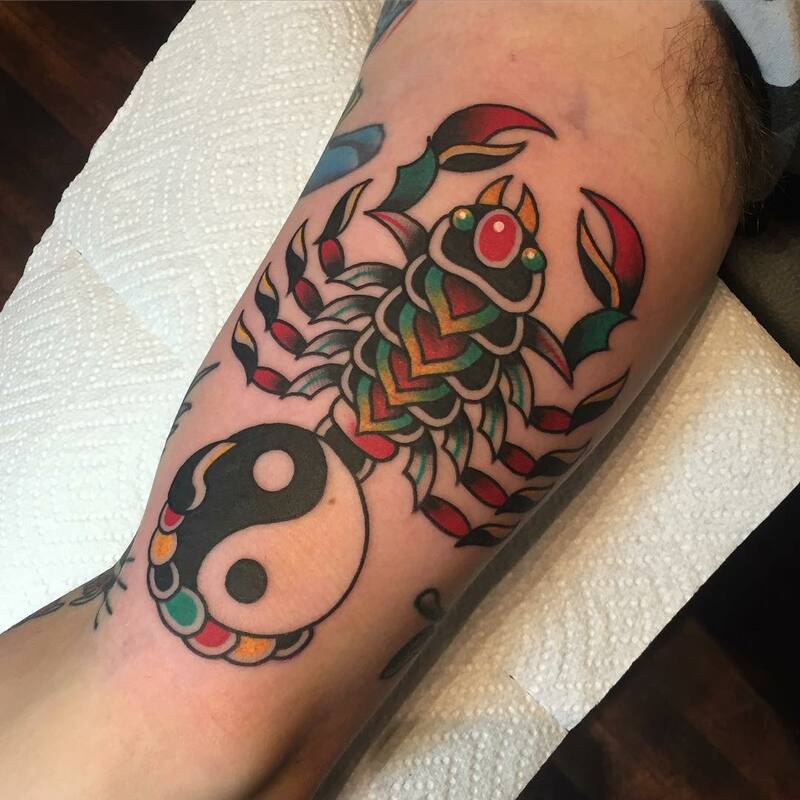 The color palette used to make this tattoo design is usually black and at other times brown, red and hues of blue can be incorporated. 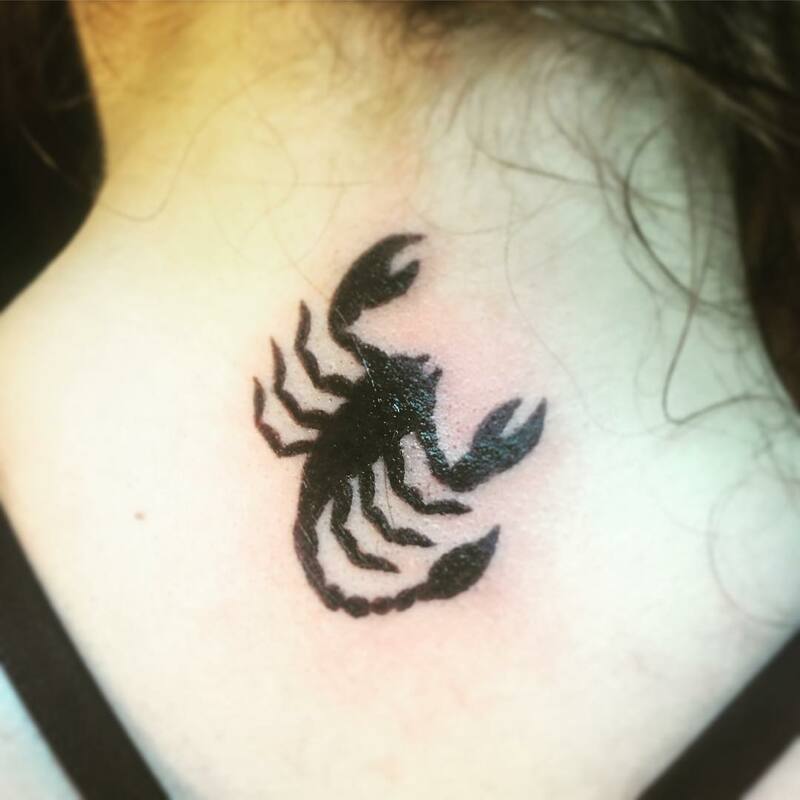 So, if you want to get yourself inked with a tattoo having little bit of edge and want to flaunt your style statement, then scorpion tattoo is just what you are looking for. 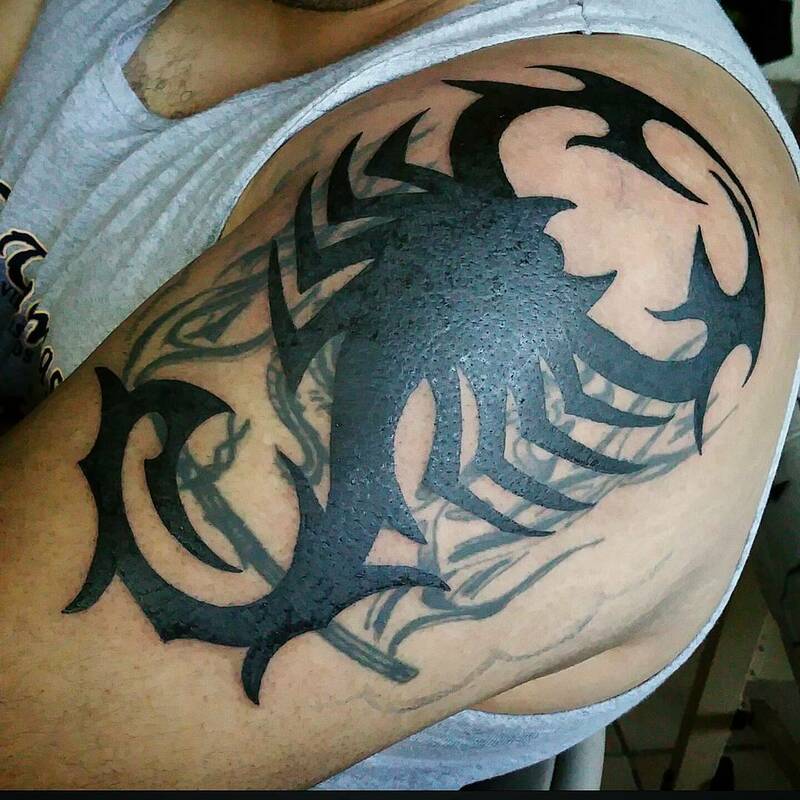 This type of tattoo is done in shades of black and grey with a texture and clear line work. 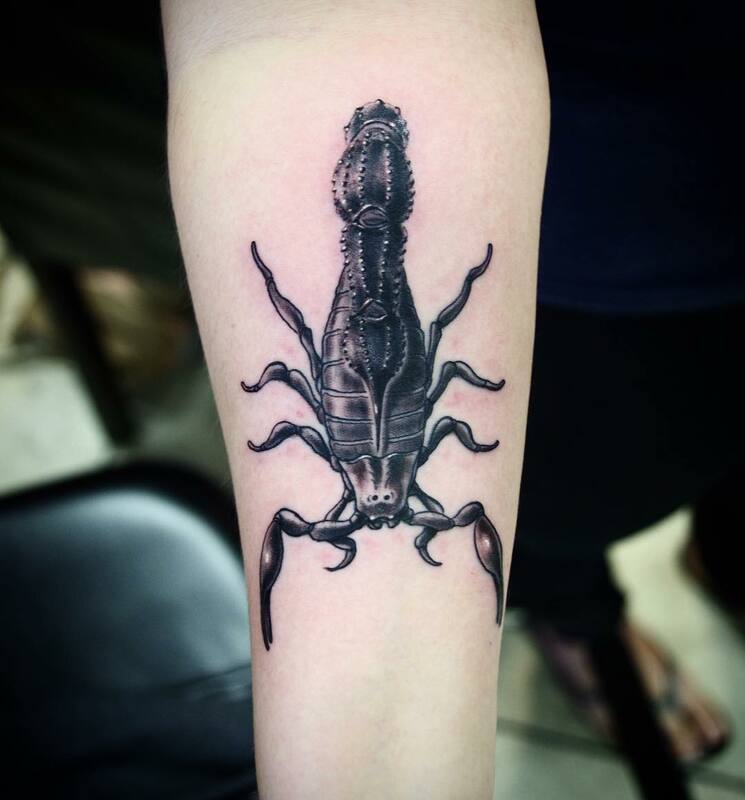 The design of the scorpion can be created in a Gothic way. 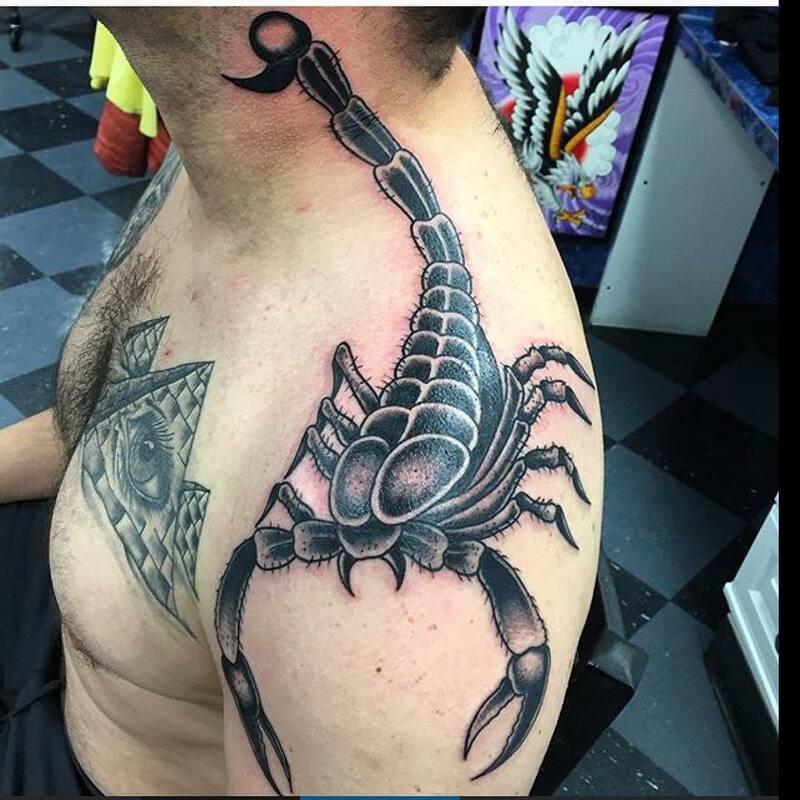 This design is masculine and attractive. 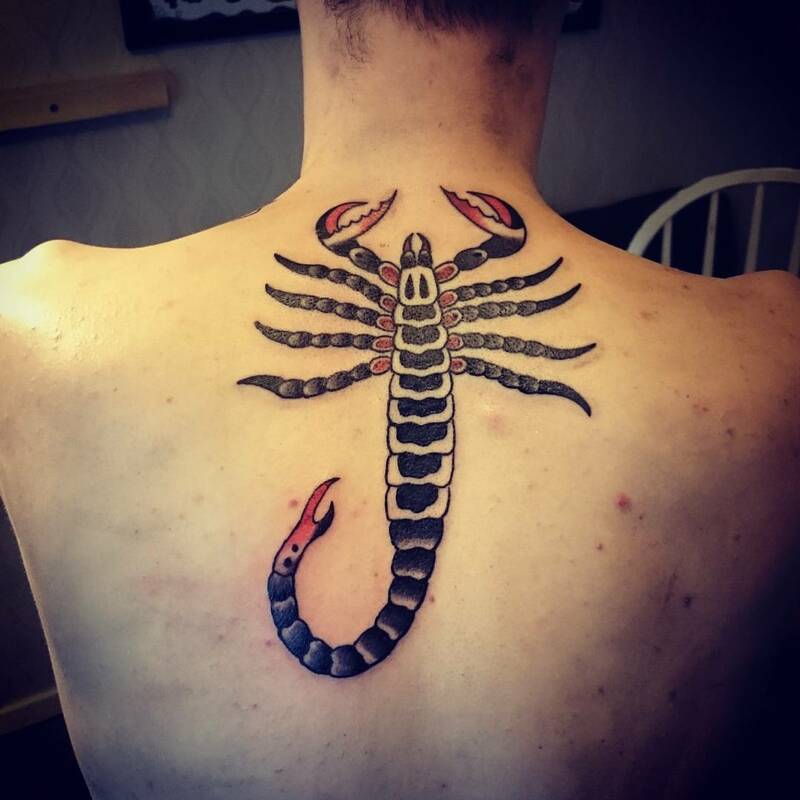 It indicates the deadly nature of the creature. 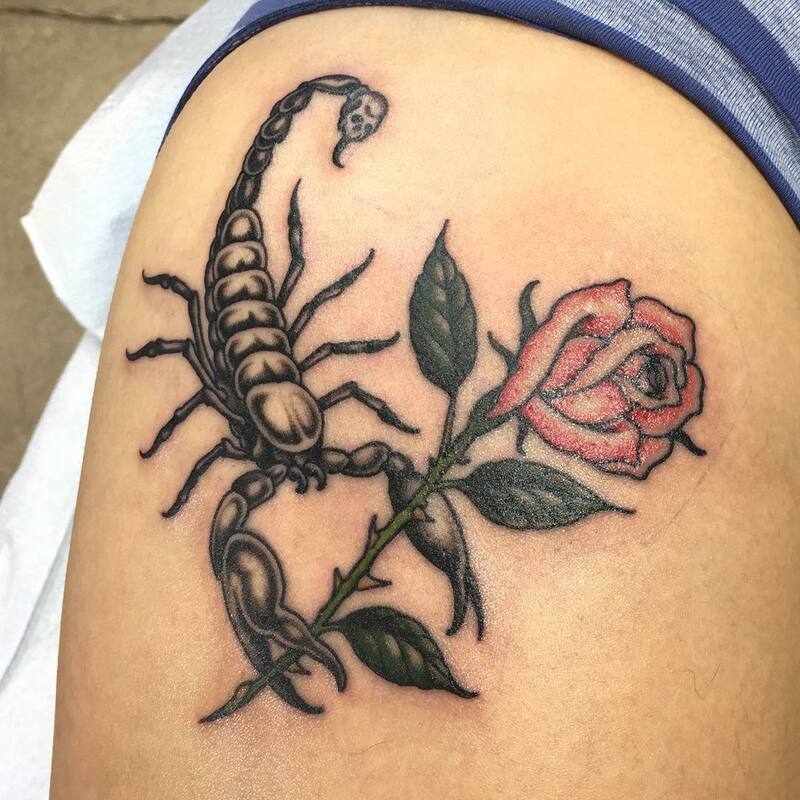 This is for someone who admires humor and loves cartoons. 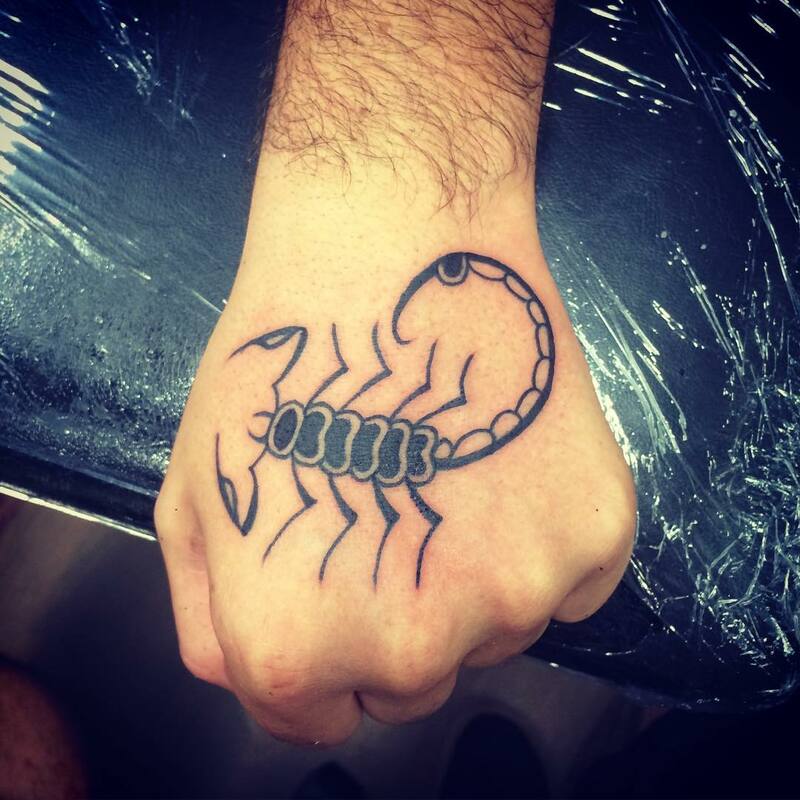 It signifies the fun nature of the person with the evil touch beneath the skin. 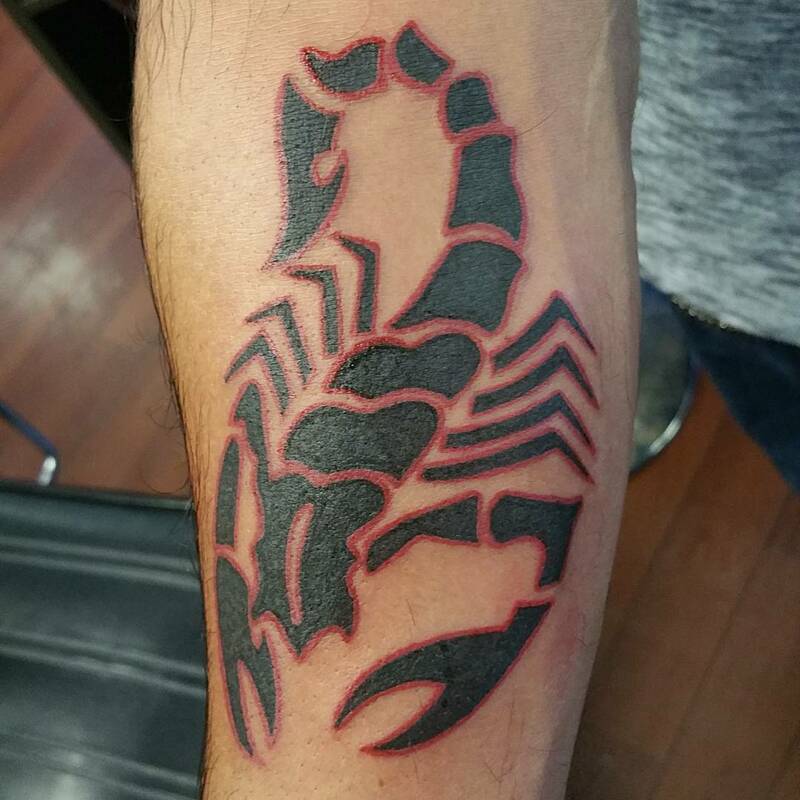 People born from October 24th to November 22nd can get this tattoo done in the form of Scorpio zodiac sign.